Would someone be able to confirm whether there are any shortcomings with the following strategy? 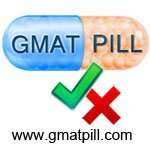 From my understanding you can cancel your GMAT score and retake it. You can take the GMAT score up to 5 times in a year and up to 8 times overall. Schools will only see the scores which you have accepted, or which you have reinstated. Given this, would it be possible to just keep doing the exam until you reach your desired score (up to the limit outlined above), cancelling each time you don't get the score you want. Then accepting the score once you get it (if you do get it that is). If you become bored of attempting the exam over and over you can always stop and just reinstate the highest score you achieved? I know this feels like you are gaming the test to a slight degree, and personally I think that you shouldn't be able to cancel scores, but given that you can is this a valid strategy? I ask because i had a target of 730 and achieved 710 on my first attempt. So i feel i can just retake the exam a few times and select the highest score? Or am i missing something? Yes, you keep re-taking it until you hit your desired score. Beware of exam fatigue though. Limit is 5 per year and 8 lifetime. Also keep in mind the exam fee is $250 globally - so if you really want to take the exam 8 times - that's $2,000 - just on the exam itself -- not counting MBA application fees - and of course the mental effort and time considerations. Yes, you can use that strategy. However, as mentioned above, each retake is $250. You may want to pinpoint areas of weakness and study those topics only. Once you have reached your desired score on practice tests, that's when it may be best to take the exam again. Beyond the significant expense associated with potentially taking the GMAT 8 times, the biggest 'flaw' in that plan is that you can only take the GMAT 5 times in a rolling 12-month period. For example, with the 16-day wait period, you could conceivably take the GMAT 5 times in a 2 month period... but then you would have to wait another 10 months until your first score fell outside the 12-month "window" before you could take the GMAT for the 6th time. So what would you do during those 10 months? Continue in full-on study mode, even though you wouldn't be able to take the GMAT for another 10 months? 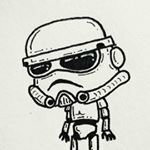 Stop studying and then start back up later (with the hope that your skills haven't gotten "too rusty")? Neither situation sounds particular efficient. I'd just add that a 710 score will never look 'bad' on a score transcript, even if you do better later on. It's a good enough score for pretty much any program in the world. So I don't really see a good reason to ever cancel a score that high.